Being without a working appliance can be a major inconvenience. Fortunately, the repairs don’t have to be. When you work with Mr. Appliance® of St. Croix River Valley, you can schedule an appliance repair service at a time that works best for you. Do you need us to be there in the early morning or late afternoon? No problem! We will arrive promptly, ready to work, whenever you need our services. By the time we’re done, you won’t even know that we were there. Our technicians are committed to leaving your home in better condition than they found it, which is why we will always clean up after ourselves. We will also provide an accurate price quote before we begin any work. With us, you pay by the job, not the hour, and we never charge for overtime—even if we take longer than expected. Contact Mr. Appliance of St. Croix River Valley at 651.504.0324 for expert appliance repair. When you work with Mr. Appliance of St. Croix River Valley, you will see why so many others have trusted us with their appliance repairs. Our parts and labor are guaranteed for one full year. 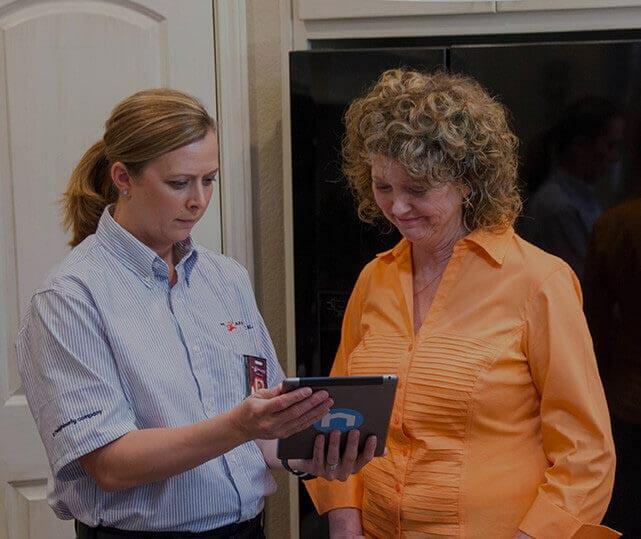 If a replacement part fails within one year of its installation, we will come back and replace it at no cost to you! Why? Because we care about your satisfaction. If you are looking for dependable appliance repair services in Woodbury, Oakdale, River Falls, Hudson, or anywhere else in western Wisconsin and eastern Minnesota, do not hesitate to contact the team at Mr. Appliance of St. Croix River Valley. We deliver services that you can trust—whether you need to repair a broken refrigerator, dishwasher, microwave oven, washing machine, garbage disposal, or stove.